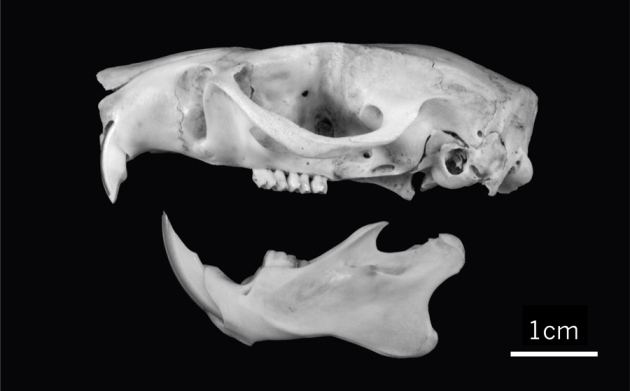 The Uromys vika is the first new rodent species to be described from the Solomon Islands in 80 years. The elusive rat was finally discovered when an 18-inch, orange-brown individual fell out of a tree that had been cut down by a logging company. The researchers think that the rat should be listed as Critically Endangered on the IUCN Red List because the rat appears to be rare, and its rainforest habitat is rapidly being logged away. 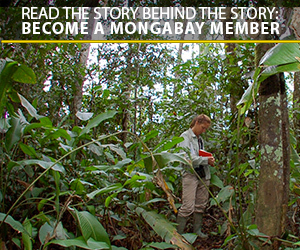 For a long time, people living on the Vangunu Island in the Solomons spoke about the “vika”, a giant rat on the island that lives in trees and cracks open coconuts with its teeth. But the rat remained elusive to the scientific community. Now, researchers have finally discovered an individual of the mysterious rat, making it the first new rodent species to be described from the Solomon Islands in 80 years, according to a new study published in the Journal of Mammology. Tyrone Lavery, a mammologist at the Field Museum in Chicago, first heard of “vika” on his first trip to the Solomon Islands in 2010. He spent the next few years looking for the rat on the Vangunu Island, but failed to spot the animal. All he could find were the regular black rats. Finally, in 2015, an 18-inch, orange-brown rat fell out of a tree that had been cut down by a logging company. A skull of new species Uromys vika. Photo courtesy of Tyrone Lavery, The Field Museum. 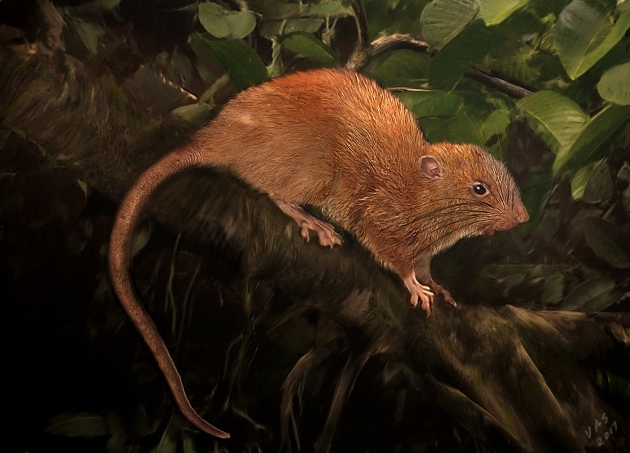 By comparing the rat from the felled tree to similar species in museum collections, and checking the new rat’s DNA against the DNA of its relatives, Lavery’s team confirmed that the giant rat was a new species. They named it Uromys vika after the local name for the rat. The newly described Uromys vika can likely weight up to a kilogram (2.2 pounds), according to Lavery. 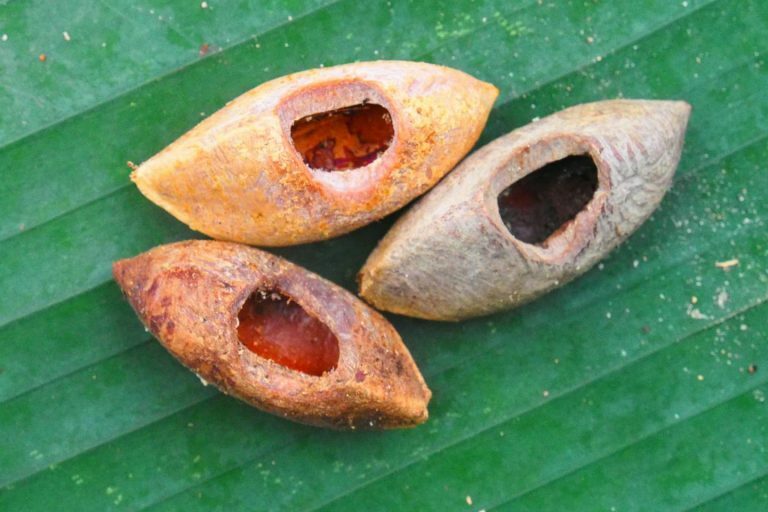 And although there’s no formal record of the rat eating coconuts, it can chew circular holes into nuts to get at the meat, he said. Lavery also thinks that Uromys vika should be listed as Critically Endangered on the IUCN Red List because the species appears to be rare, and its rainforest habitat is rapidly being logged away. 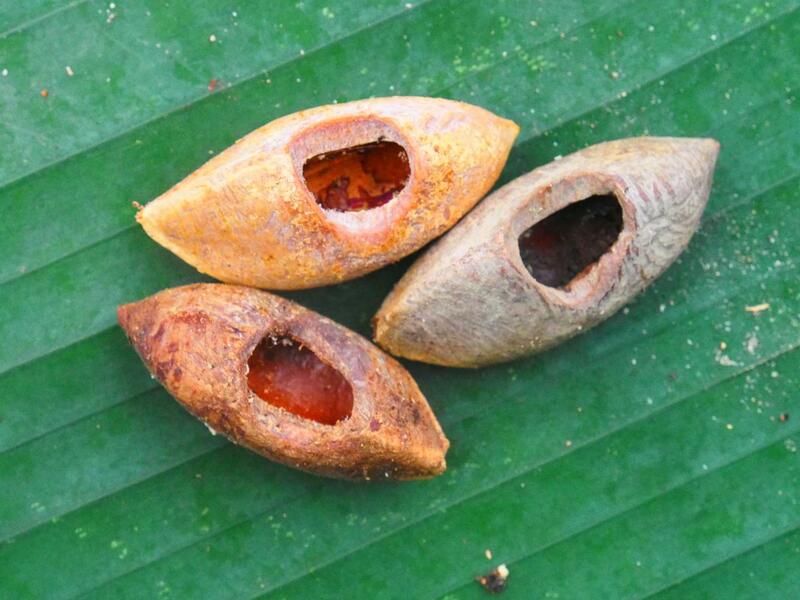 These are nuts bearing the characteristic tooth-marks of Uromys vika. Photo courtesy of Tyrone Lavery, The Field Museum. An illustration of the new species, Uromys vika. Illustration by Velizar Simeonovski, The Field Museum. Lavery TH and Judge H (2017) A new species of giant rat (Muridae, Uromys) from Vangunu, Solomon Islands. Journal of Mammalogy, gyx116.